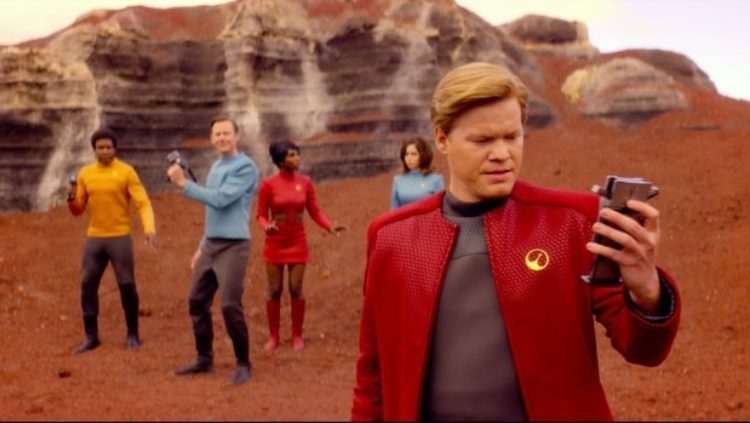 Reasons why Dark Mirror's 'USS CALLISTER' episode is truly a Star Trek Story. Having grown up on Star Trek and the Twilight Zone, I really enjoyed Black Mirror episode ‘USS Callister.’ Being a philosopher, I rather enjoyed reading various thought pieces on the work and decided to add my own tribble to the heap. If you have not seen the episode, there are obviously spoilers ahead. Much like the brilliant Star Trek s lampoon Galaxy Quest, ‘USS Callister’ begins with what appears to be a Trek clone overstuffed with overacting and delightful cheese. Captain Daly, a Kirk-like figure, leads his diverse and adoring crew in a battle against a Khan-like villain (complete with a recreation of a scene from Star Trek II: The Wrath of Khan). Under the slice of cheese is a true horror: The USS Callister is within a virtual reality game controlled by Robert Daly and the other “players” are self-aware digital clones of his co-workers. Daly has powers in the game comparable to Charlie X of Star Trek (including the ability to transform a victim’s face into a mask of unbroken flesh) and uses them to control the controls, forcing them to play the game with him. Since Daly’s coworkers treat him rather badly, it is initially tempting to feel some sympathy for him, but it is revealed that Daly cloned and spaced (putting out an airlock without a suit) the son of his boss. Daly also transforms cloned female co-workers into large alien bugs which horrifically retain their intelligence. Daly seals his own fate when he digitally clones his newest co-worker, Nanette, and forces her to play the game. To make an excellent story short, digital Nanette leads the crew in a successful rebellion against Daly aided, unwittingly, by the original Nanette. Jenna Scherer, of Rolling Stone, makes an excellent case that the episode is a criticism of the sort of toxic fandom that has spewed its hate at the fact that the captain’s chair has been increasingly available to people who are not straight, white males. I certainly agree that the episode does just that. However, I also contend that it is a Star Trek story, albeit crafted to avoid lawsuits from the corporate masters of Star Trek. I think this might be a point worth making since I see it as important to distinguish the episode’s criticism of toxic fandom from what seems to be a sincere commitment to the values of classic Star Trek. Making this case requires considering what it is to be a Star Trek story. One underlying theme of Star Trek is the dual nature of humanity’s relation to technology. On the one hand, Star Trek is fundamentally optimistic about technology—warp technology allows starships to explore the galaxy and advances in technology have freed the Federation from economic oppression. On the other hand, Star Trek also explores the threat technology presents in terms of its potential for abuse. The Borg are, of course, the paradigm example of the dangerous side to technology. 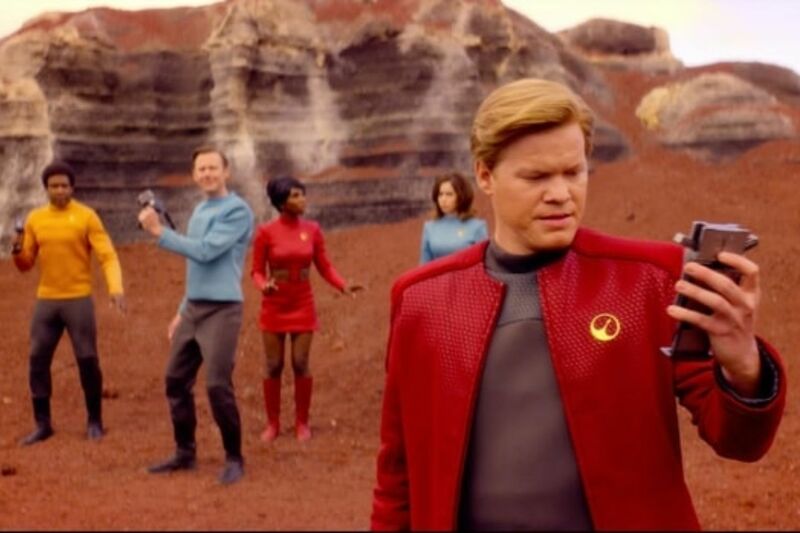 While ‘USS Callister’ might seem to be entirely on the dark side of technology, the ending is optimistic—the digital clones are fully people and, at the end, set out to have their own life in the vast universe of the game. Star Trek, especially the original series, also placed an emphasis on rational problem solving and teamwork. The model was, of course, a strong captain leading a competent crew of decent people. While this is not unique to Star Trek, this model was carefully followed by the episode: as in many classic Star Trek episodes, crew members made essential contributions to the success of the plan—and, of course, the diversity of the crew is a key part of their strength. Most importantly, Star Trek also advanced a set of moral principles, as exemplified by the rules and laws of the Federation and Star Fleet. In the episode “Captain Daly” speaks of the values of Space Fleet, but often uses them to justify inflicting worse horrors. For example, after defeating a co-worker he has cast as a villain, the “villain” begs Daly to kill him and thus free him. Daly cites the Space Fleet rules about not killing and instead has the “villain” locked in the brig—thus extending his torture. While it is tempting to see the episode as mocking the values of Star Trek by having a Kirk-like figure mouthing them while grotesquely violating their spirit, this is what contributes the most to making it a Star Trek story. Daly is not Kirk exposed. Daly is, rather, another example of a classic Star Trek villain type: a Star Fleet captain gone bad. In ‘The Omega Glory’ Captain Tracey, commander of the Exeter, violates the Federation’s Prime Directive and ends up committing mass murder and fighting Kirk in order to secure what he hopes is the secret to immortality. While Daly is obviously modeled on Kirk, he is most like Captain Tracey: someone who has professed his love for his ideals, but who abandons them for his own selfish desires when pushed into a crisis. Daly thus shows the irony of the toxic fan—they are acting in violation of the very principles they profess to embrace. Digital Nanette and her fellows, in contrast, act in accord with the classic values of Star Trek—they act with courage and are willing to make great sacrifices for each other. Appropriately enough, at the end of the episode Nanette is the captain of the USS Callister—a position she has earned. While Daly and the toxic fans might fancy themselves captains, they are the villains. Which is, of course, also a feature of classic Trek: the moral lesson. Upon their escape from Daly’s private game, the crew’s uniforms and the ship are upgraded to a modern style (like that of the new Star Trek movies). While it might be tempting to see this as a condemnation of classic Star Trek, it can be a metaphor of how the moral goodness of classic Trek is still relevant today, though it was clearly best to leave behind the miniskirts. So, it is reasonable to see ‘USS Callister’ as praising the good of Star Trek while, at the same time, criticizing toxic fandom. 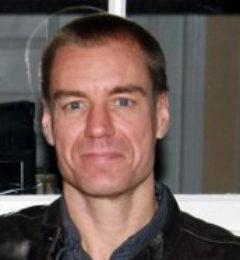 I'm a guy from Maine who went to school in Ohio and ended up as a philosophy professor in Florida. In addition to my job as a professional philosopher, I am an avid (some would say fanatical) runner, a writer, a writer of games and a known associate of huskies.